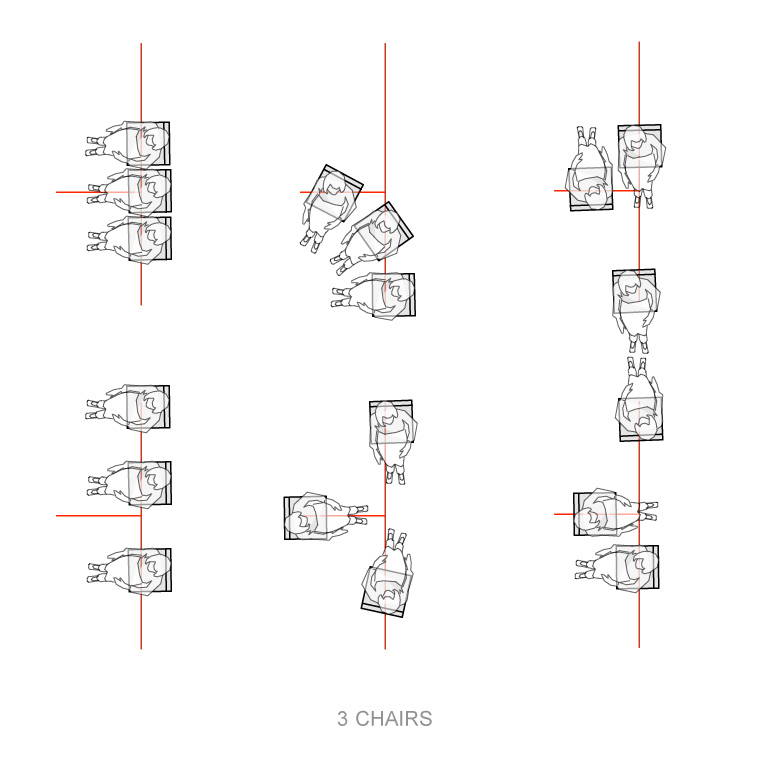 The track system demonstrated by the CHAIR>bench project has proven to offer a wide range of configurations. Since its debut, we have been pushing forward to bringing the track system (patent pending) to market. Through the development of the first steel prototype (final product will be in stainless steel), the system has confirmed it is a competitive alternative to high quality fixed site furniture options. Designers will soon have a choice between fixed and securable movable site furniture. Since the track opens up a wide array of possibilities, they will no longer be limited to one arrangement. Note: We are looking for pilot projects for installing the system. If you have a project where you would like to use it, please contact us. 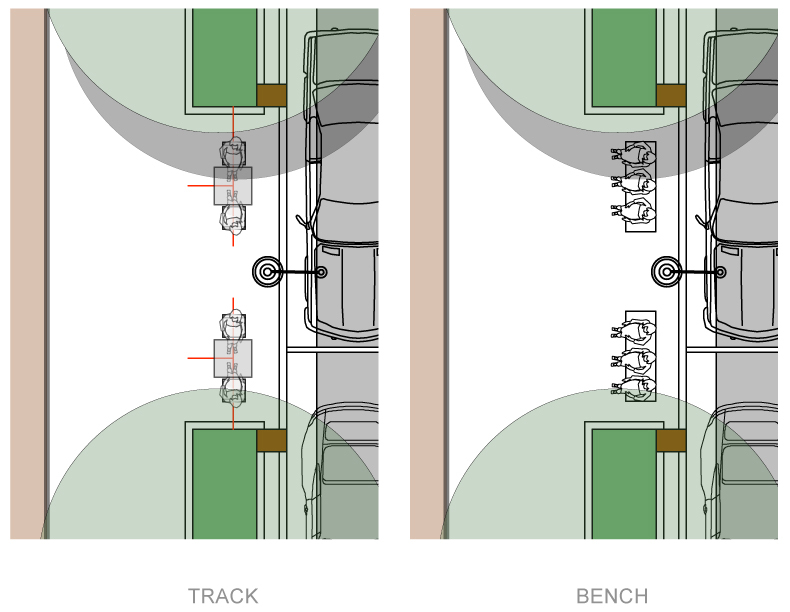 The following diagrams exhibit these possibilities using a “T” track configuration in comparison to a conventional bench arrangement along a streetscape. In addition, it shows how combining the “T” track can be used to create even more complex combinations within larger spaces. The “T” track shown is 8ftx3ft. An extension provides a drainage outlet to the street through the curb or a planting area (shown). In addition, pervious pavement can also be used to address stormwater. While the bench configuration shown above only offers a single static arrangement, the “T” track offers a number of dynamic possibilities. 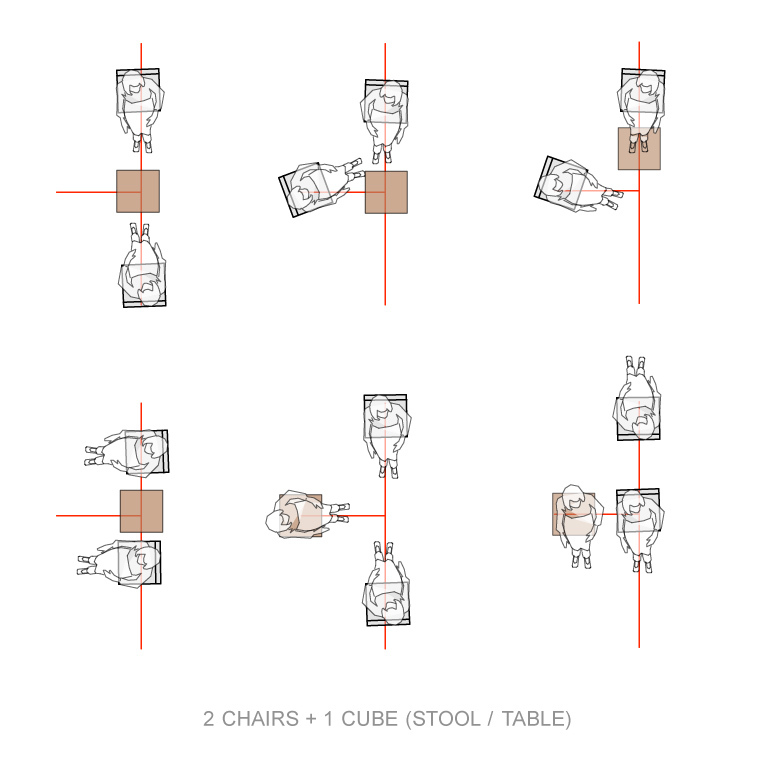 The following diagrams demonstrate some of the multiple arrangements that can be configured using the track system in combination with various movable chairs, tables, and cubes (stool/table). The secure system can adapt easily to the needs of the users. 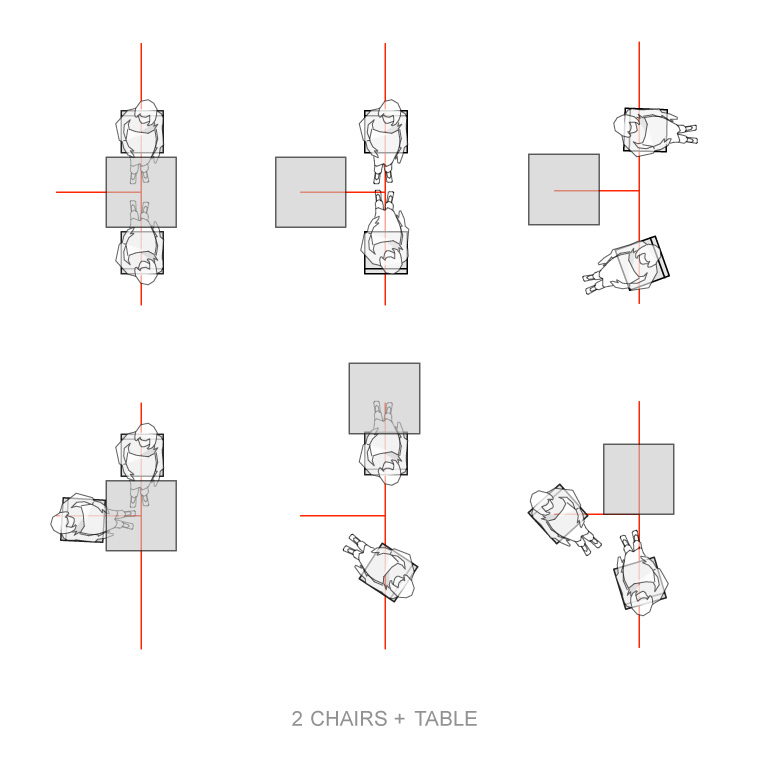 Most tables and chairs can be retrofitted or designed to work with the system. Furniture combinations can be changed at any time as the needs of the space change. By replacing one of the chairs with a table, the system provides a flexible outdoor dining arrangement. A simple 18″x18″ cube can be used as a stool for sitting, a table, or a ottoman to offer more flexibility. 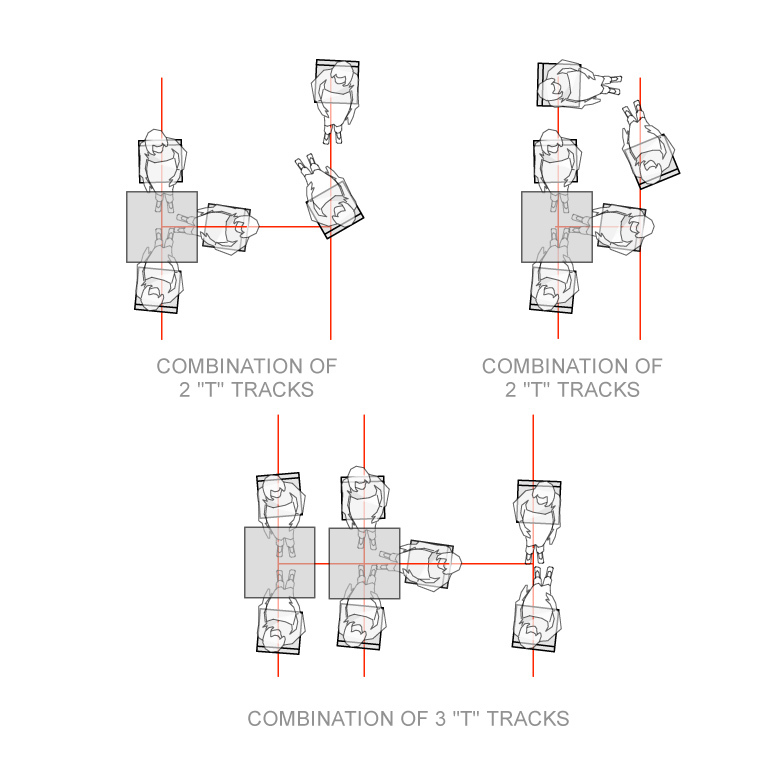 The individual “T” tracks can be combined to create more complex configurations. In addition, the track system can be customized to conform to nearly any shape desirable. This entry was posted in CHAIR>bench, Uncategorized and tagged site furniture, streetscape. Bookmark the permalink.